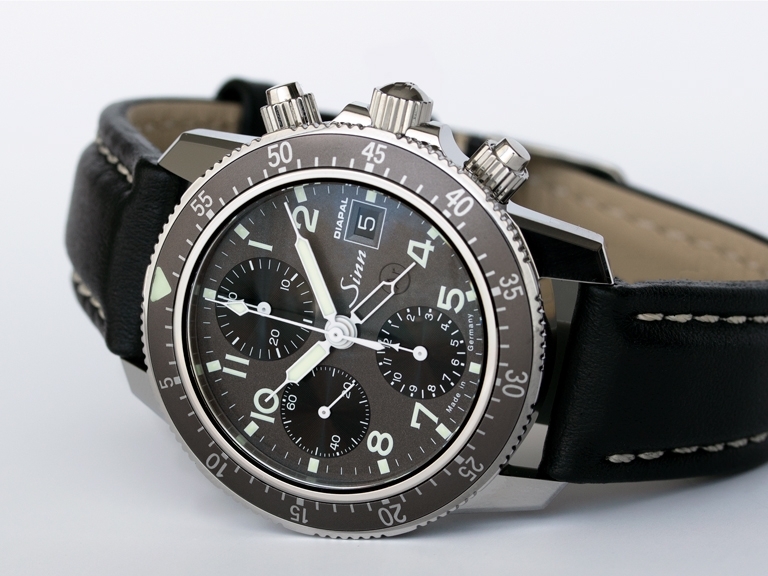 This watch combines the classic look of the Sinn 103 series with Sinn's highly technical DIAPAL technology. Beginning in 1995, Sinn began work to create an oil free escapement. With any mechanical watch movement, the aging of oil, especially in the escapement can create long term problems for that movement. Additionally, as movement oil ages, required service intervals become more frequent. Sinn's early analysis to this problem provided a quick solution (at least in theory) - if you don’t use oil, it can’t age. The process began by exchanging the ruby escapements for diamonds (the word "DIAPAL” derives from the German name for diamond escapements, "Diamantpaletten”) in order to achieve the desired effect. The designation stuck, even though today Sinn works with solutions taken from advanced nanotechnology rather than diamonds. To counter the affects of moisture and humidity, Sinn has applied their "Dry Hold" technology to this model, consisting of a copper sulphate capsule and the use of inert gasses sealed within the case. Sinn has found that filling the case with these inert gases can help prevent the introduction of moisture and humidity to the case, as well as provide a more stable environment for the oils that lubricate the movement. Polished stainless steel case with sapphire back. 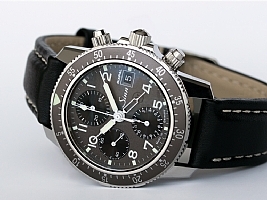 Dial is anthracite with black sub-dials, Arabic numerals and date display at 3. We have to say this is one of the most striking dials we have ever seen on a watch. The design and layout of this watch make it extremely easy to read in virtually all light conditions. Sapphire crystal with luminous hands and hour markers. The UTC feature or second time zone is indicated by an additional hour hand (pointing to the 7 in our picture). Watch is water resistant to 20 ATM.